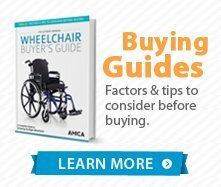 Ultralight Wheelchairs are designed with an eye towards optimizing performance for the active individual. 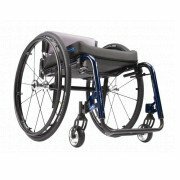 Performance is dramatically increased in these extremely light chairs, as the rigid frame transfers all of the energy from the push of the wheel into forward motion. Some of this energy is lost in the moving parts of a foldable frame. 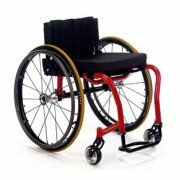 Ultra light wheelchairs are part of our manual wheelchair series that offer a light durable frame and great features. We provide ultra light wheelchairs that are considered folding wheelchairs, meaning that the frame can be folded and stored into a small space, such as a vehicle trunk, car garage or storage space. 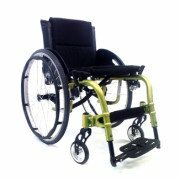 Ultra Lightweight Wheelchairs are a great choice if you are looking for a light manual wheelchair. 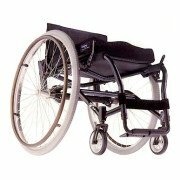 Several features separate each wheelchair from the next, some of our ultra light wheelchair categories include Manual Big Wheel Wheelchairs, and Transport Small Wheel Wheelchairs that cater to anyone looking for the right choice in manual light chairs.